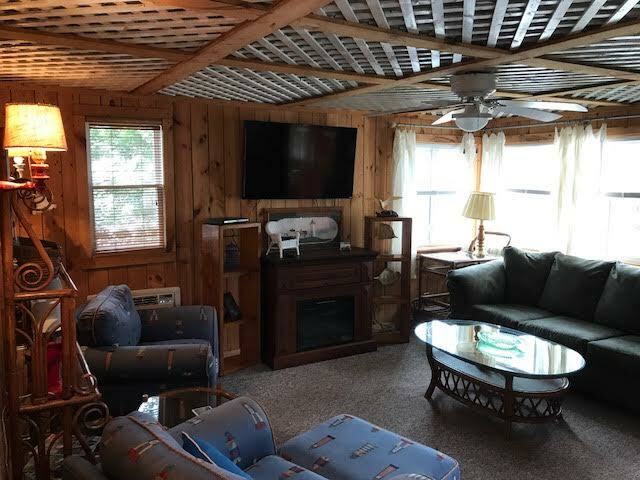 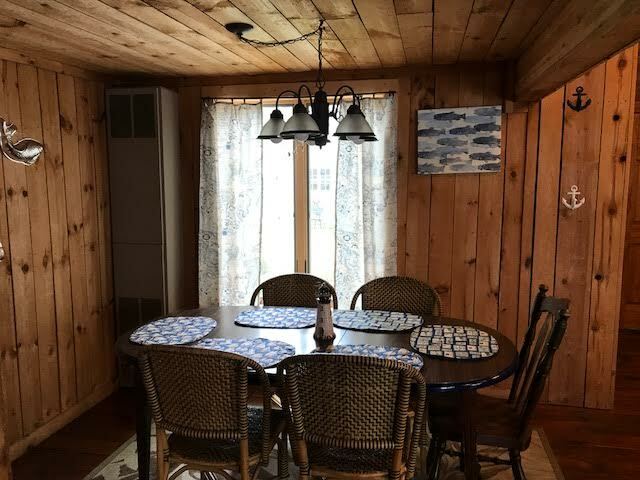 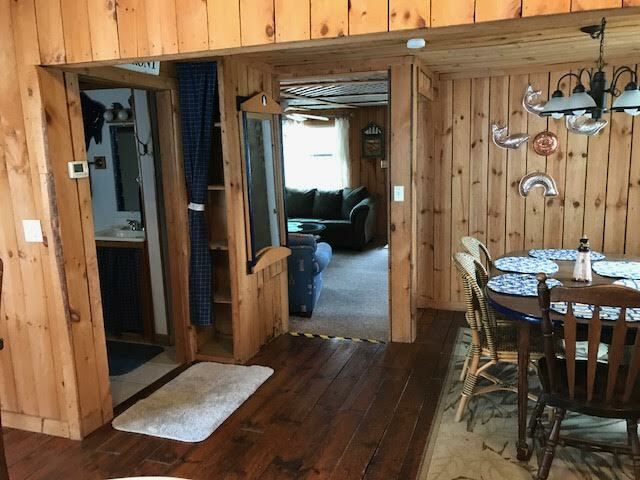 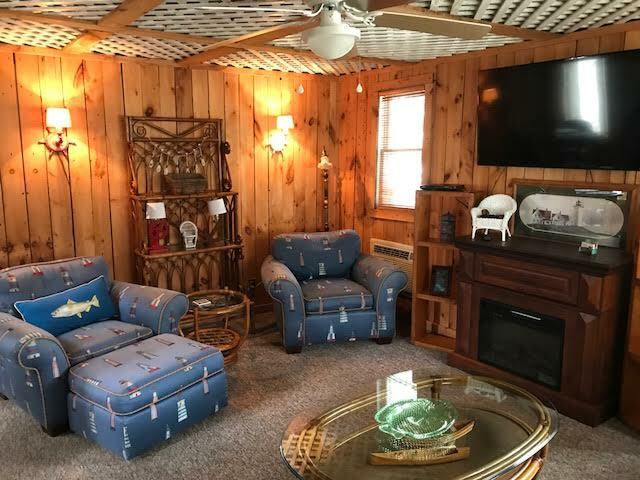 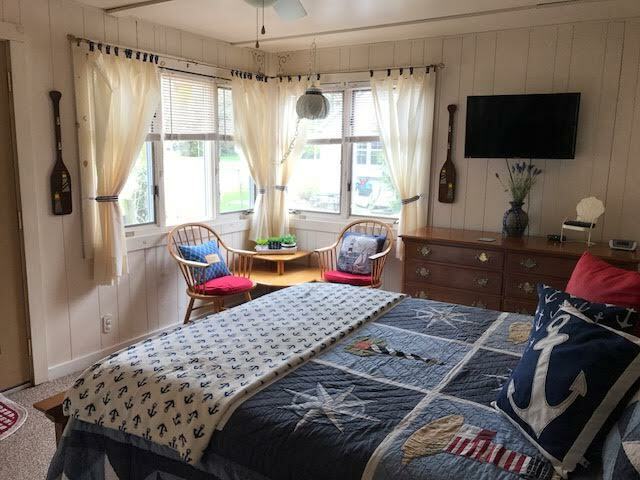 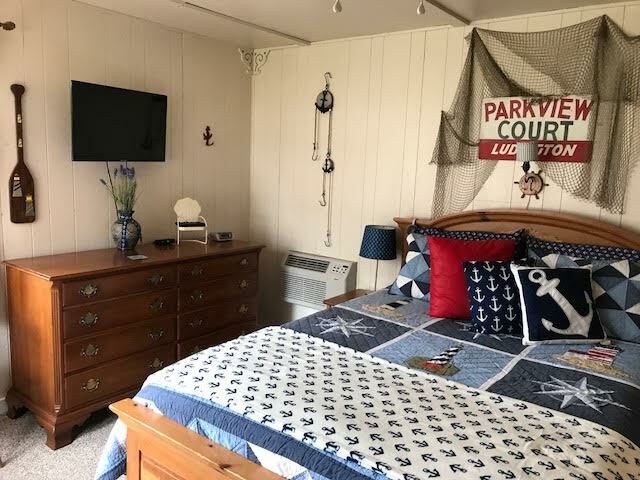 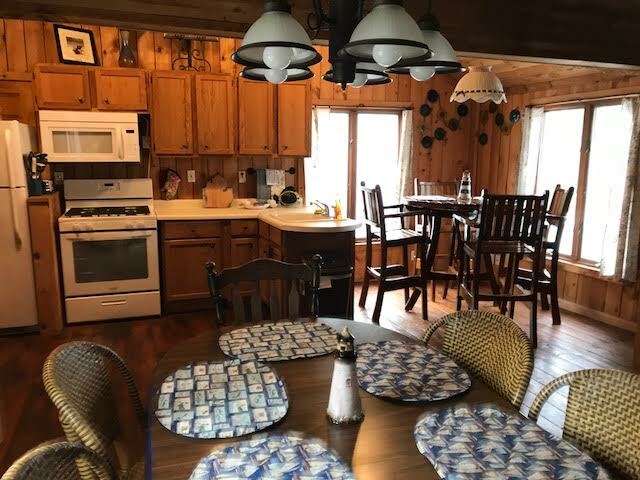 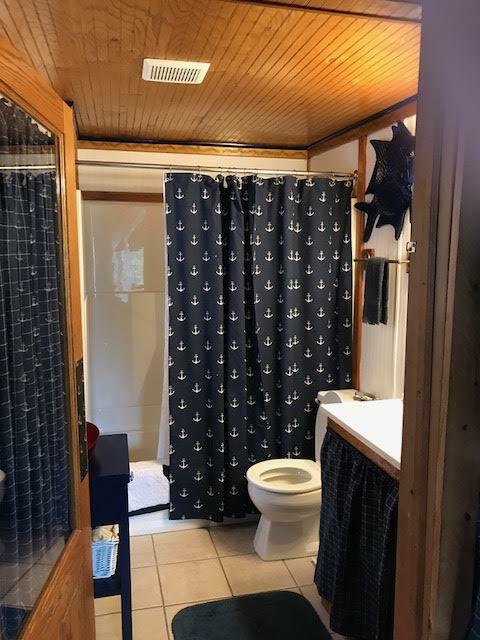 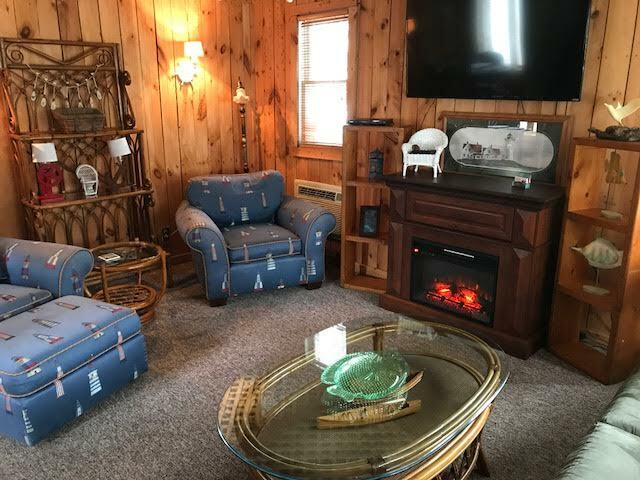 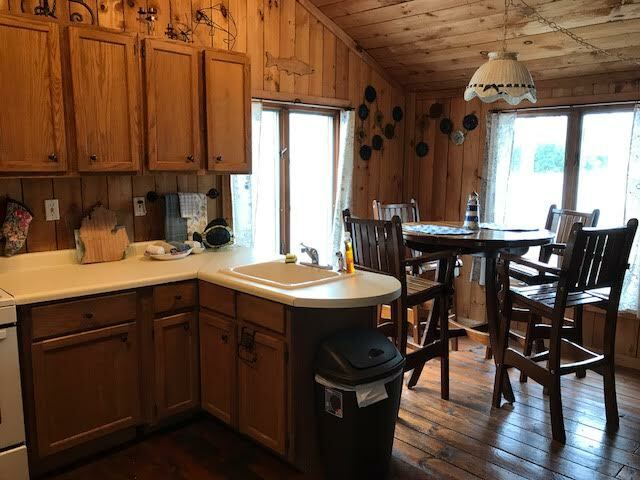 Cottage #11 is the main house at Parkview located on the north west corner of the property furnished with nautical touches and great new updates. 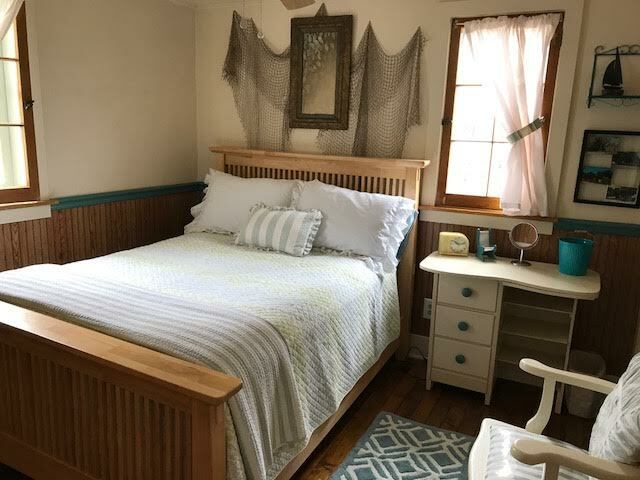 The house/cottage has 3 bedrooms, the 2 downstairs bedrooms sleep 2 each, one with a queen bed and one with a double bed. 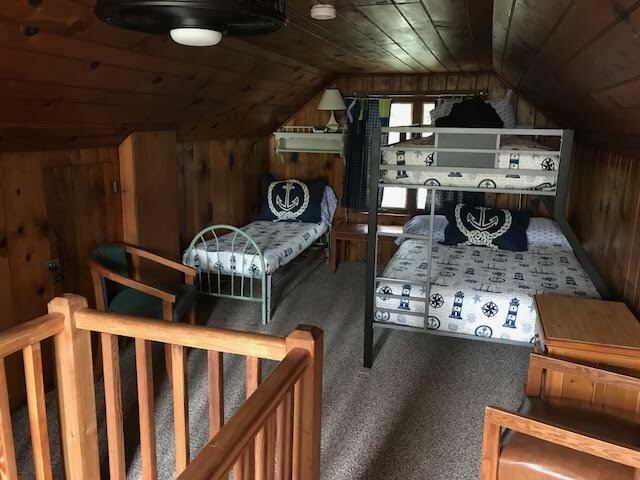 The upstairs bedroom has a bunk bed with a double bed on the bottom and a single on the top. 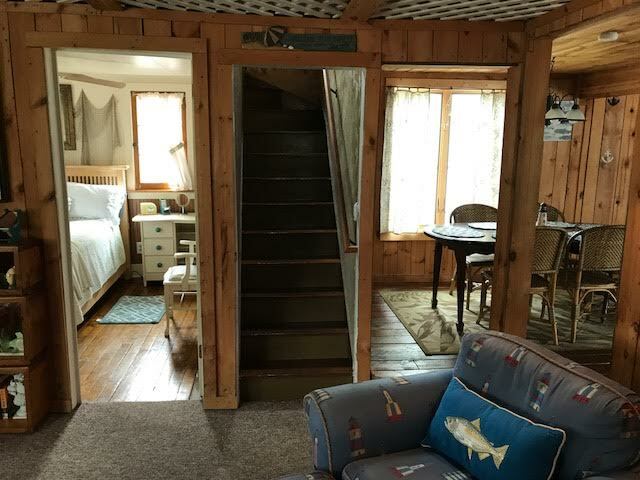 There is also a full size hide-a-bed in the living room area. 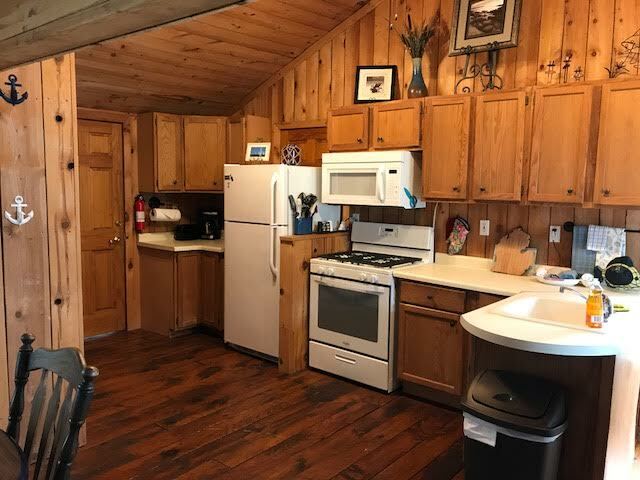 The large kitchen is idea for family gatherings complete with all pots, pans and utensils. 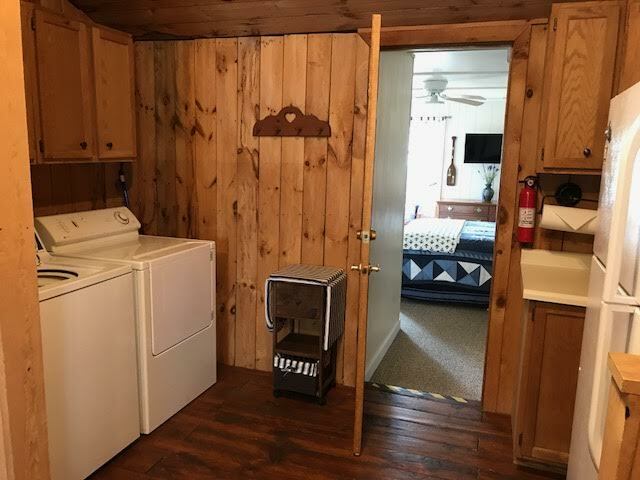 Large flat screen television, DVD player, all linens and towels are included.